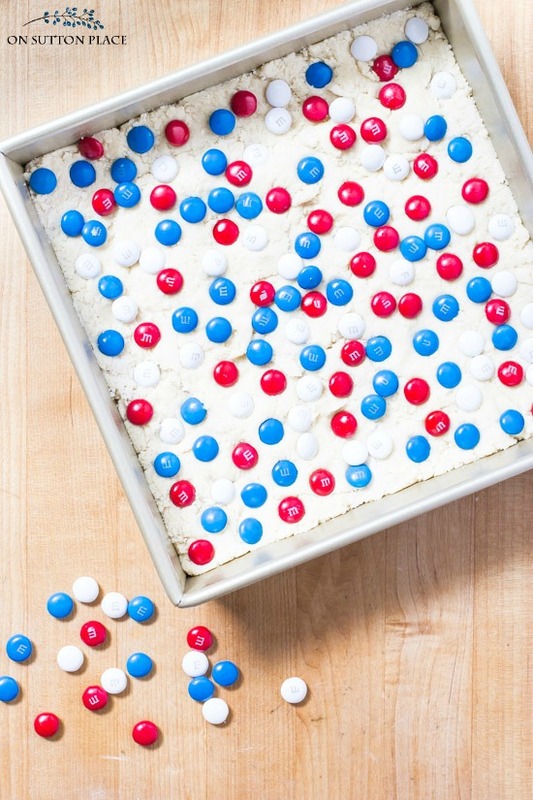 Make this M & M Sugar Cookie Cake Recipe for any seasonal family gathering. Just change the color of the M & M’s to fit the holiday! This sugar cookie cake recipe is adapted from a basic recipe I’ve had for a long time. Years ago, I got the recipe from a friend and at the time, I couldn’t make these cookies often enough! They are deliciously soft and literally melt in your mouth. That recipe was buried in the archives of my blog and I had actually forgotten it was there. 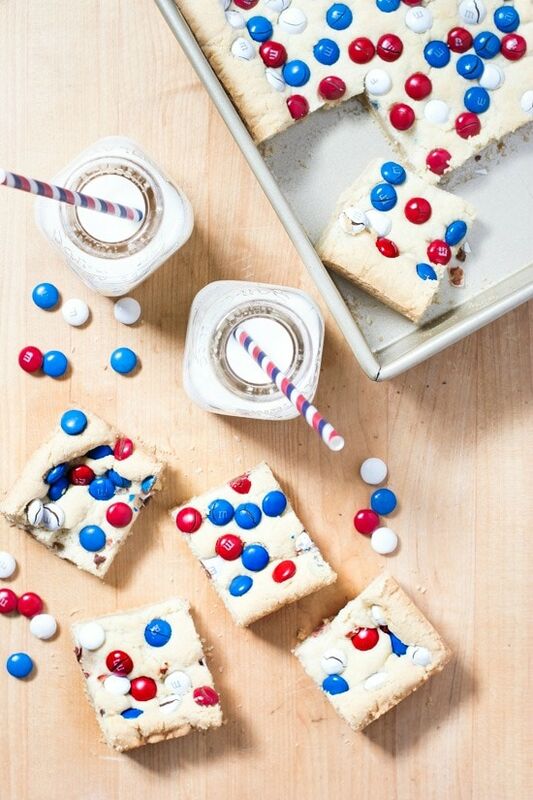 It’s been resurrected in the form of a cute sugar cookie cake that is embellished with red, white and blue M & M’s. 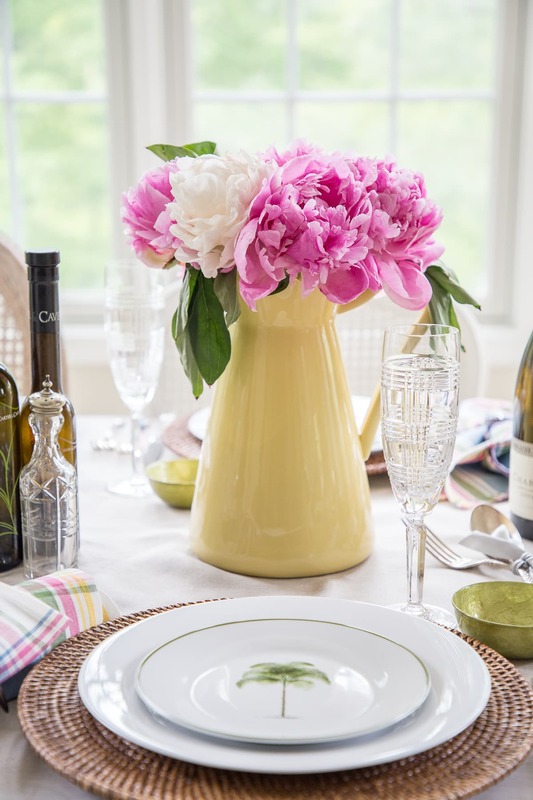 Perfect for our latest edition of Styled & Set…and any patriotic holiday. If you are coming over from Jamie’s blog, So Much Better With Age, welcome! These bars are the perfect dessert for any family gathering or picnic. They can be made the day before…just cover the baking dish when the cake has cooled. A 9 x 9 inch pan can be cut into twelve bars…or if you are feeling generous, it can be cut into nine. Adapt this to any holiday by adding seasonal M & M’s. Red and green at Christmas, pink and red for Valentine’s, or the multi-colored M & M’s for any occasion. 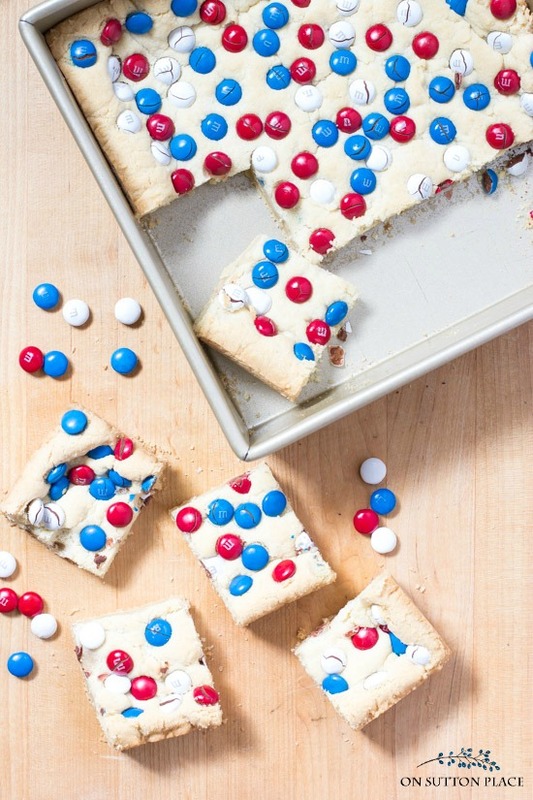 Make this M & M Sugar Cookie Cake Recipe for any seasonal family gathering. Just change the color of the M & M's to fit the holiday! In the bowl of a standing mixer, or a large mixing bowl using a hand mixer, combine the butter, oil, sugar, egg, and vanilla. Combine the flour, salt, and baking powder in a separate bowl. Add it in 2 increments to the butter/sugar mixture. Put in a 9 x 9 inch prepared baking pan and press to the sides. Sprinkle M & M's generously, pushing them gently into the dough. Watch closely at the end. Cake should be a light, golden brown when done. Cool completely. Cut into pieces and serve. This recipe can be made into small cookies. Use a 1 inch scoop and bake at 350 degrees F for 9 - 10 minutes. *Affliliate links included. Click HERE for my disclosure statement. Now it’s time to send you along to Designthusiasm…and you are in for a treat! 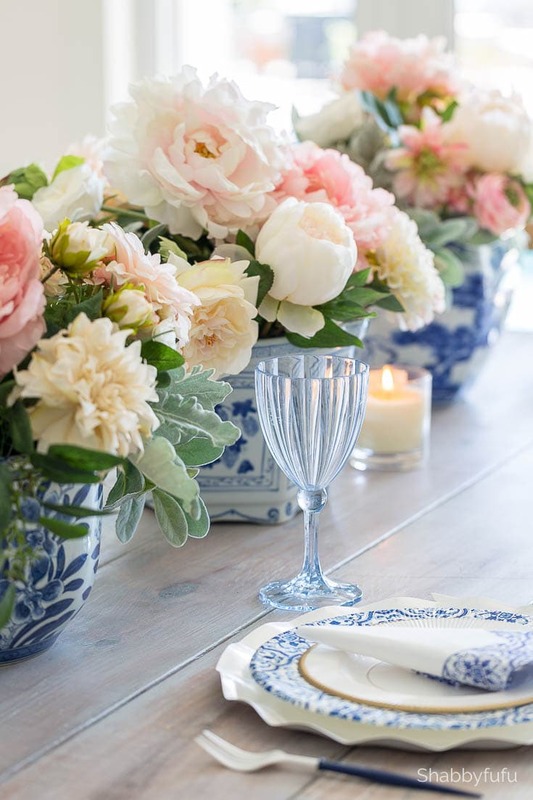 Lory is a master at creating beautiful tablescapes and I know you will come away completely inspired. After that…I hope you have time to take a look at the other links. Thank you so much for stopping by…see you soon! Just made this for our Memorial Day cookout. They sure look yummy. An FYI it still says baking soda in the instructions. I was a little confused until I read the comments. Always LOVE your recipes! You spoiled my diet, too! I had to make these, but I was wondering if 2 teaspoons is the correct amount for the baking soda? They were very good and have really spoiled my diet!!! but I seemed to be able to taste the baking soda in them- maybe just me.. I always enjoy your posts. Thanks! Hi Lurlie! I looked back at my original recipe and it said 2 teaspoons baking soda. To make sure, I asked my friend who gave me the recipe…and she said it should be 1 teaspoon baking powder. I’ve had it wrong all these years! I have made this dozens of times using 2 teaspoons of baking soda…but I went ahead and changed the recipe to reflect the correct ingredient and amount. Thank you for your comment! 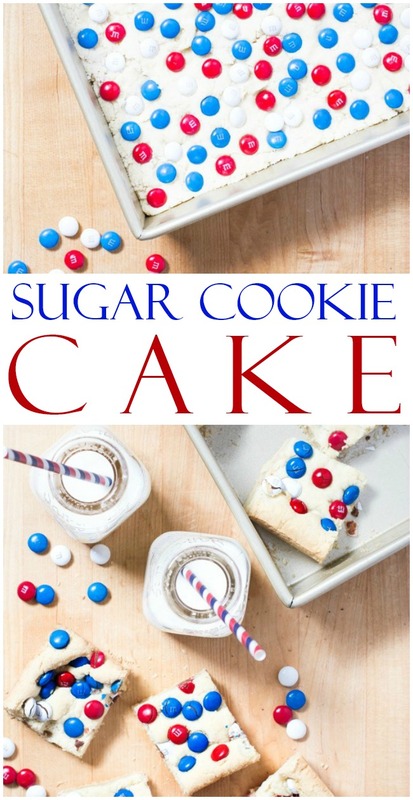 The cake looks yummy; but I would also love to see the original sugar cookie recipe! Ann, this looks absolutely amazing! I know my kids (okay, me too!) will love it! I have to make it. Well don’t these just pack a punch of color! They look scrumptious too! This looks so festive and yummy. This will be on my list to make this Memorial Day week-end. Simply is good! I made the strawberry dip you shared the other week and it was a huge hit!! It was delicious! 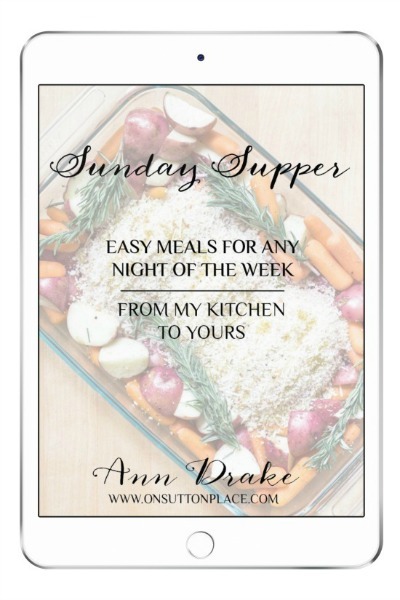 Thanks for sharing your recipes and other ideas. Have a great week. Hi Ann….do I follow the same recipe to make the cookies? Oh no Ann, I unable to print the recipe. These bars look delicious, perfect for my work pot luck. Looks simple and sinfully delicious! 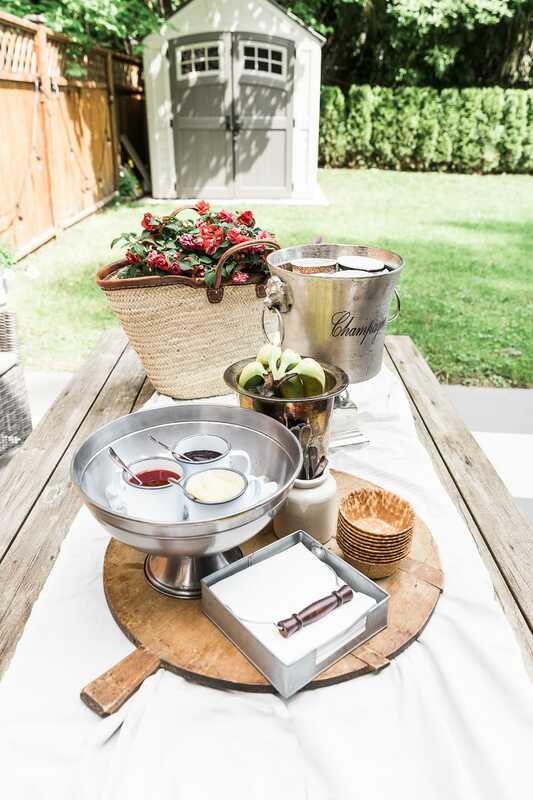 I need a dessert for a party this weekend….perfect.